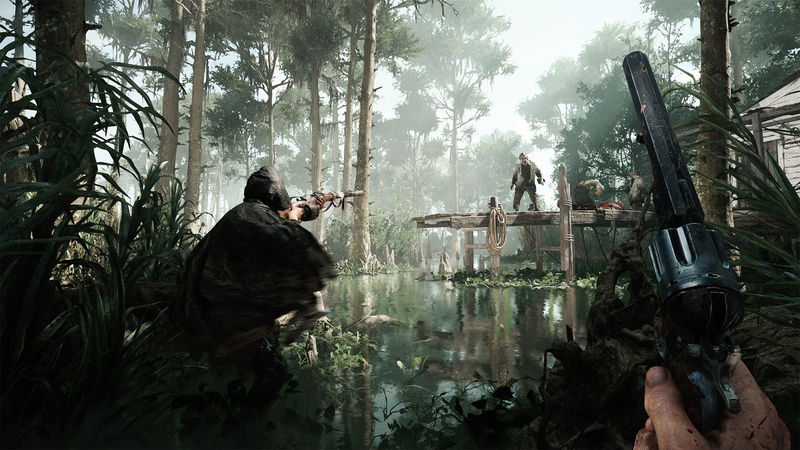 Crytek's bounty hunter monster shooter Hunt: Showdown seems to be flying under the radar, but it shouldn't be. I've got it filed in my brain under "This sounds so promising. Please let it turn out well." Set in the Louisiana swamps, it's part PvP and part PvE, with up to ten players (solo or two-person teams) competing to track, stalk, and banish monsters for cold hard cash. "Once the [creature] was hunted, the true madness began," Nick wrote in his preview at E3. "As one teammate started the banishment (and claiming the bounty), a huge fiery spot opened up on the general map and alerted the other teams to the target." Players can kill each other to whittle down their competition prior to this point, or they can wait until the end to swoop in and steal the bounty. If any of this sounds appealing, you should sign up for the Hunt: Showdown closed alpha. Cretek will be randomly selecting testers on January 31 to put the "gameplay, balancing, and backend functionality" through its paces and collect feedback. As the alpha progresses, the team plans to add "new weapons, equipment, traits, and ranks." Further down the road, Hunt will release on Steam Early Access (were you expecting otherwise? ).